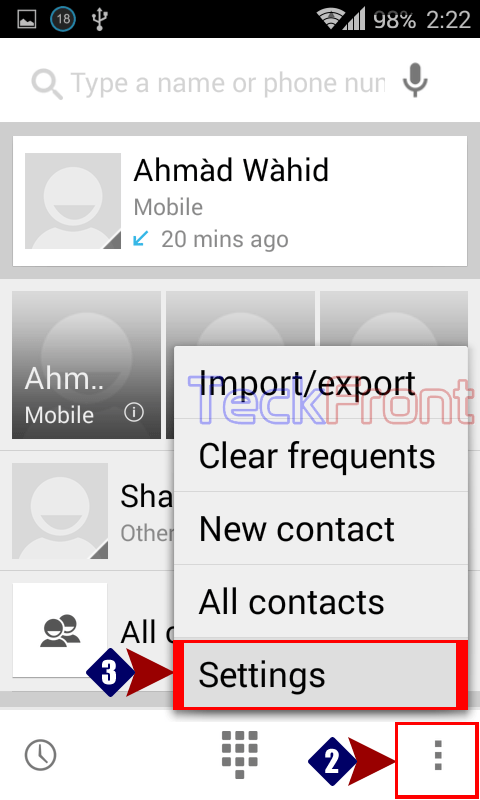 How to Switch ON Blacklist in Android KitKat 4.4.2 Phone? If you want to avoid any unpleasant or unwanted phone caller to avoid his/her calls, you may blacklist this contact. But, before blacklisting the contact, it is necessary to switch ON the blacklist. 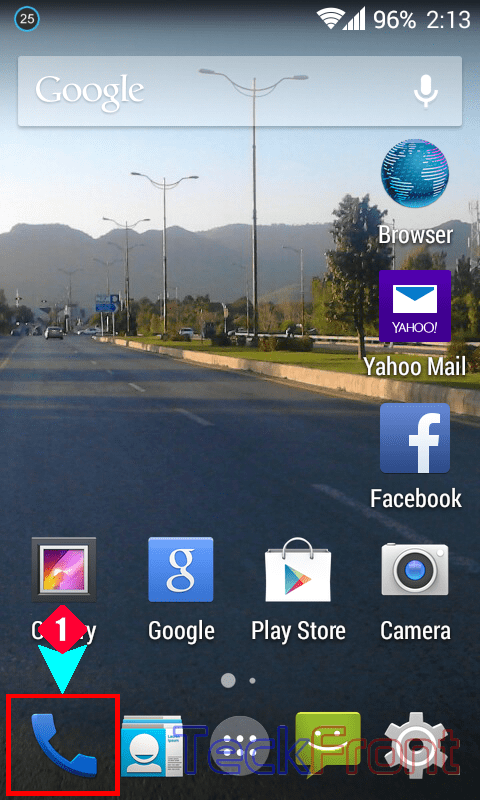 1: Tap the ‘Phone Dialer’ icon on the Home screen of the Android KitKat phone. 2: At the ‘Phone Dialer’ screen, tap the ‘Settings’ button, given at the right bottom corner of the phone screen. It will open up a popup menu. 3: In this popup menu, tap ‘Call settings’ to open the ‘Call settings’ screen. 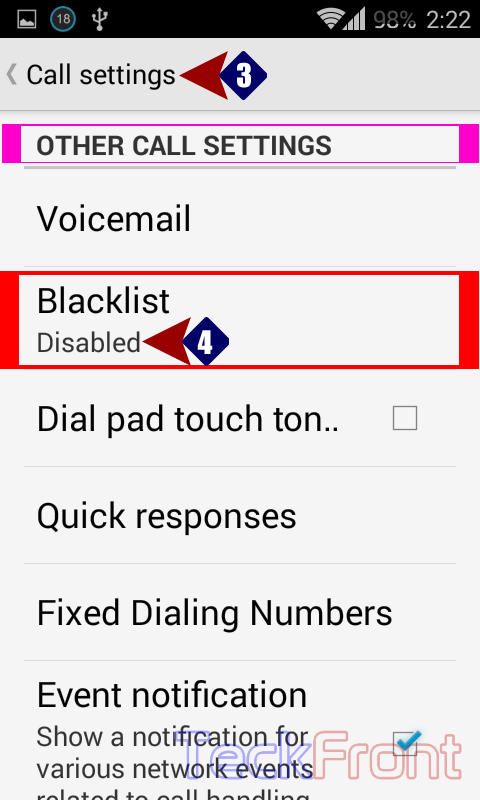 4: In the ‘Call settings’ menu, see the ‘Blacklist’ is disabled under the OTHER CALL SETTINGS. 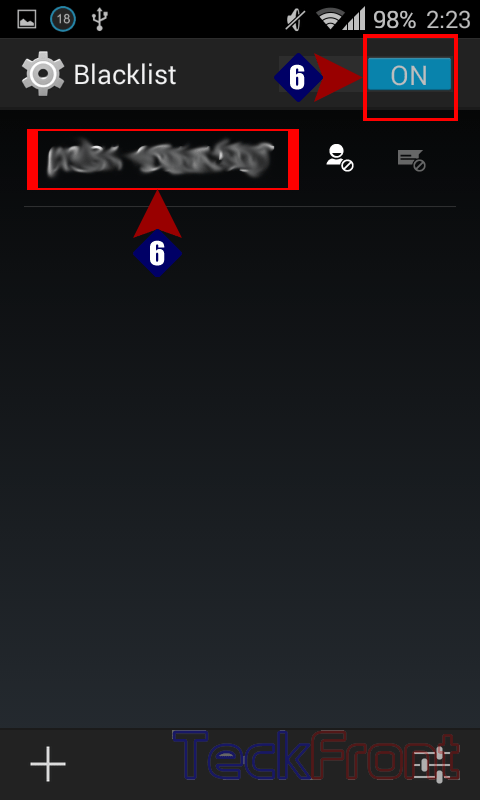 5: Tap the ‘Blacklist’ and on the ‘Blacklist’ screen, see the Blacklist is switched OFF. The message at the center of the screen asks you to enable the ‘Blacklist’. 6: Tap to switch ON the ‘Blacklist’ and now see the color of the switch is turned to sky blue. In addition to it, see one number is visible, i.e. this number was blacklisted. As this feature is enabled and the contact is blacklist aswell. 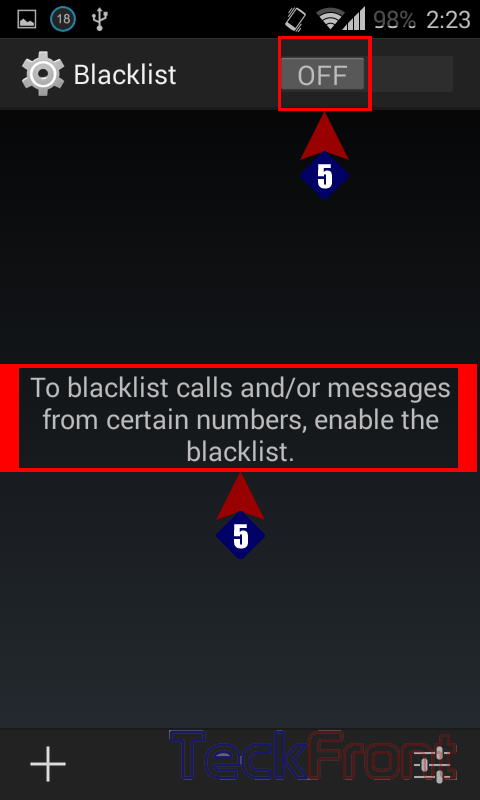 Newer How to Blacklist Contact for Incoming Calls in Android KitKat 4.4.2? Older How to Change Vibrate, Silent, Ringing or Both Mode, in KitKat 4.4.2, Quickly?